Reusable items are not something that is new, but is certainly something that is not utilized enough outside of the home. With that said, I understand that sometimes it is impractical to trek around with silverware, it can be bulky, heavy and unlikely something to be able to pass through TSA at the airport. 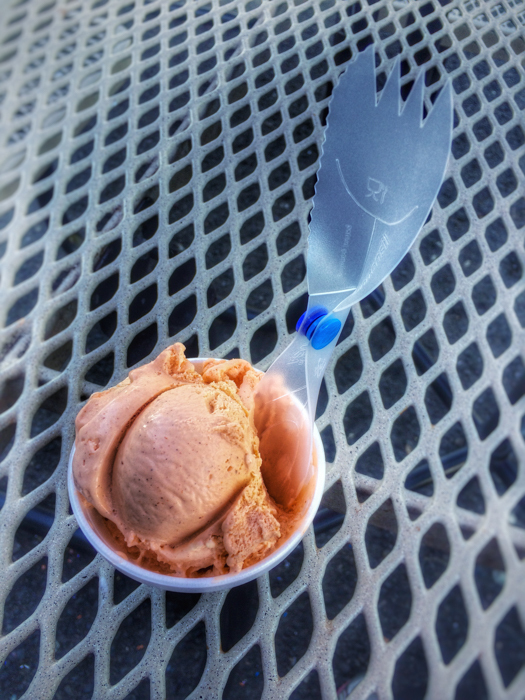 All of those concerns are easily addressed by using the reusable all-in-one utensil by Unitensil. 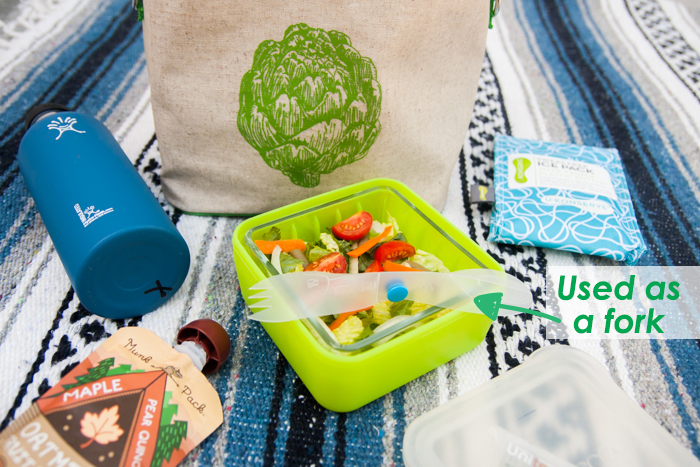 Made in the USA from BPA & Phthalate-free durable plastic, which makes it extremely lightweight too. Not all plastic is created equal; this Unitensil is currently made from virgin poly-propylene, as it is a challenge to find recycled food-safe poly-propylene. Unitensil owner, Theo Stewart-Stand has recently been able to locate recycled poly-ethylene, which is the same plastic used for milk jugs, #2 plastic. So in the near future Unitensil will be upgrading to a material that is even more eco-friendly. What I also learned about this great company besides their awesome product is their method of manufacturing. Unitensil assembles their product in Brooklyn, NY utilizing an organization who employ visually impaired people from Alphapointe. Unitensil is creating a wonderful opportunity for people who may otherwise struggle to find employment. It is to our benefit that they are also creating a great product with this workforce. I easily keep my Unitensil in my purse at all times, especially since it weighs less than a $.5 coin. It stores in its own plastic case, folded in half. 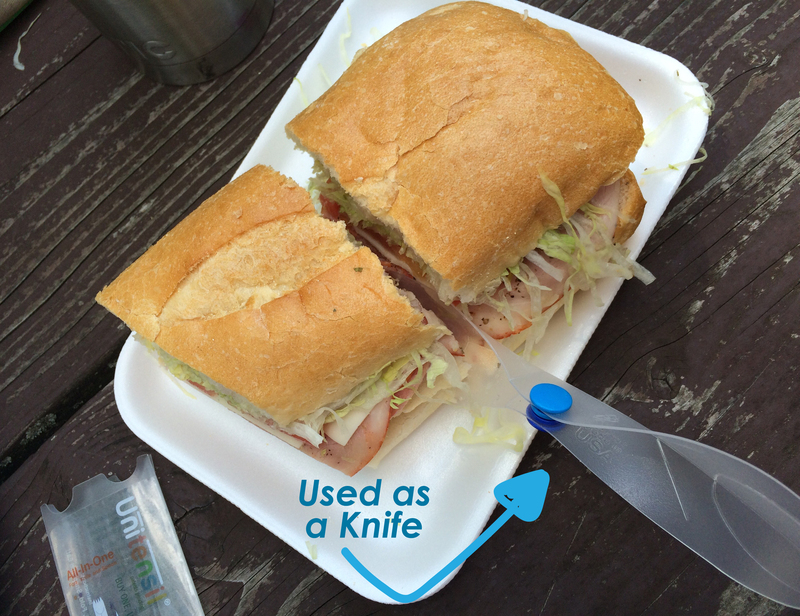 It is way more durable than any disposable plastic utensil you’d find at a fast food restaurant or vendor. I know this because at an event over the summer I split a cup of hard ice cream with a friend. 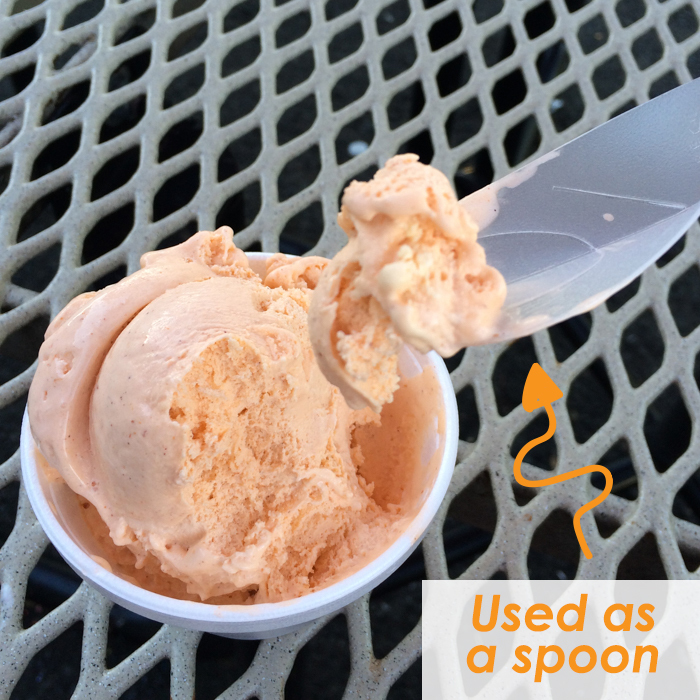 The disposable spoon received with the purchase bent right in half when used to scoop. It was a totally useless utensil, so I was glad I got to use my Unitensil, since it was way more durable and didn’t give way when scooped with. What makes this utensil super strong is how it holds its rigid structure together. No surprises here, it’s just one simple snap, but wow is it durable! Throughout my months of use, it has really impressed me. 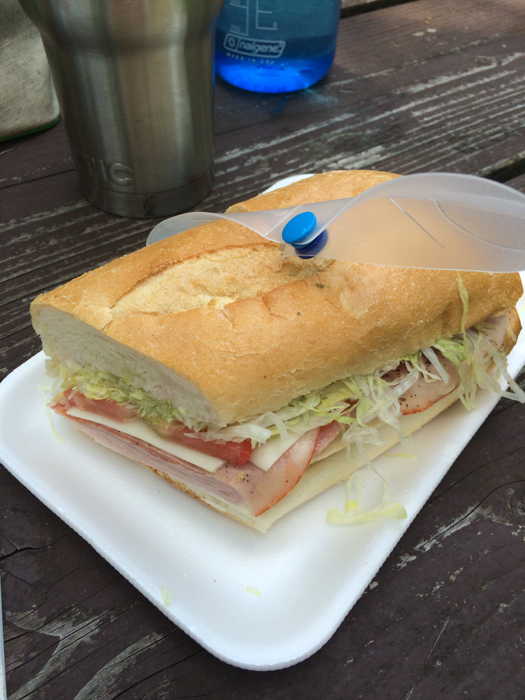 With it being able to cut a sub sandwich in half with the knife-edge. I didn’t expect it was actually sharp enough to do so. Though without being able to hold your food, as you would with a separate knife and fork, Unitensil does make it a bit challenging to cut your food. Depending on the item I’m eating, sometimes I wished the fork tines were a bit longer for easier stabbing, but have worked well for more softer foods. For the amount of times I find myself glad to have my Unitensil with me to save me from using disposable utensils (which aren’t actually very disposable.) I can’t believe I only own one Unitensil. I need to keep one in each car and in friends’ cars. 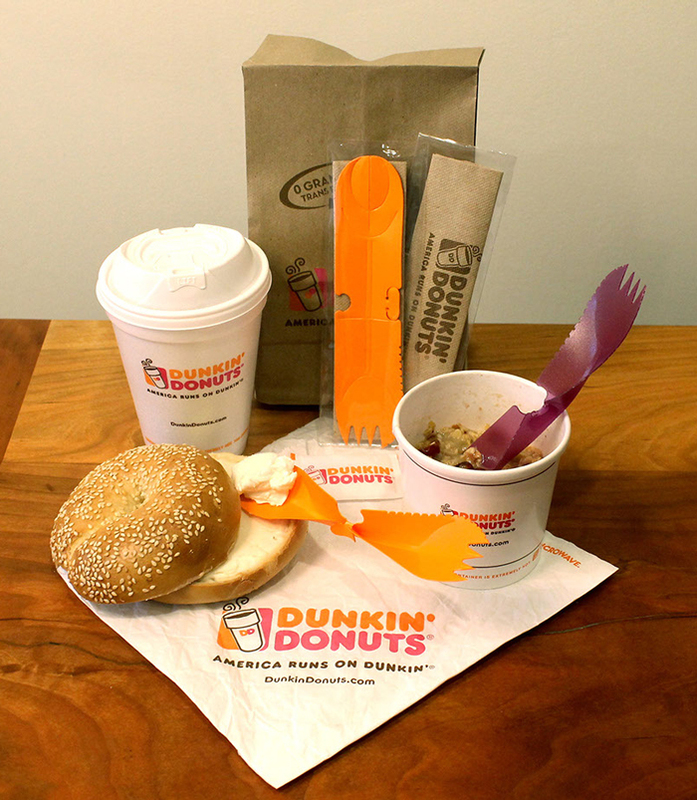 Unitensil also offers pre-packaged food service utensils. Instead of three separate utensils, it would only contain a Unitensil, plus napkin and optional salt and pepper. If you don’t bring your own, this is a way better idea than multiple utensils. Though I mainly try to avoid using plastics in my life, this is one plastic utensil that I am glad to use responsibly. 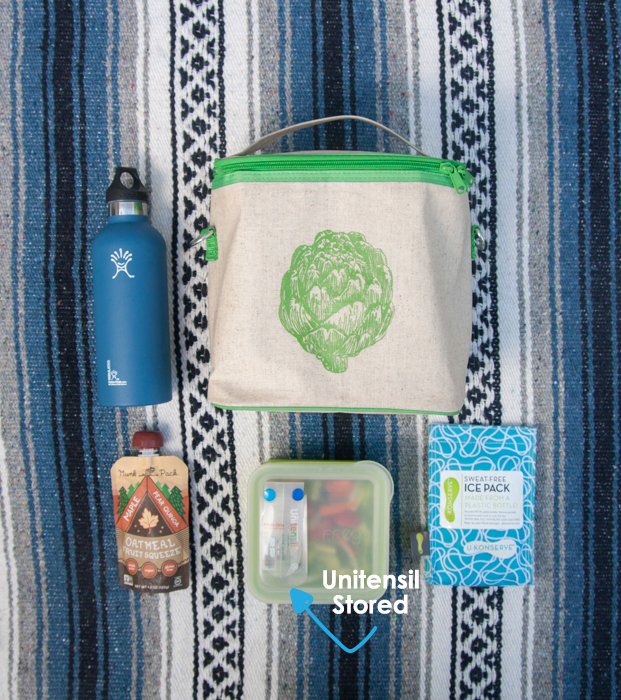 Sold in three-packs on their website, Unitensil is your great alternative to single-use plastics!